There is never a dull moment with Neal Froneman, the boss of Sibanye, a JSE-listed gold producer, who has just paid $2 billion for US Platinum Mine Stillwater. Stillwater Mining Company is the only U.S. miner of platinum group metals (PGMs) and the largest primary producer of PGMs outside of South Africa and the Russian Federation. The company is engaged in the development, extraction and processing of PGMs. 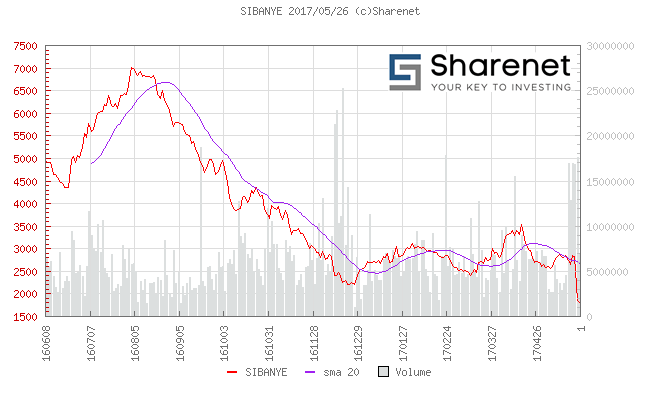 The rationale for the transaction is that it enhances Sibanye’s asset base and the deal positions Sibanye as a more globally competitive South African mining company. "Stillwater represents a unique and transformative opportunity to acquire world-class, low-cost international PGM assets", says Neal Froneman. How did Sibanye, as a South African based company, learn about the surprising value of Stillwater? "We were approached by an American banker who said, have we looked at the good value on offer at Stillwater," says Sibanye group PR, James Welsted. Mr Welsted said they had never before looked at Stillwater, but when they did, they were impressed by what they saw. "We did a series of analyses and due diligence and then finally we engaged with the management of the company, which led to us making an offer." Sibanye has made a $2 billion offer for Stillwater and is currently lining up long-term funds for that offer via a rights issue to shareholders and other overseas loans. The rights offer price has been set at R11.28 per rights offer share and is scheduled to start today. This is the first time that Sibanye has bought an overseas company, but it may not be the last. Is this a change of philosophy, and will we see some more overseas purchases in the future? Up until now Sibanye has only bought South African gold, platinum and uranium companies. "But it is hard to think of us in business in America, particularly with our acquisitive boss Neal Froneman, and not getting any other offers," says Welsted.